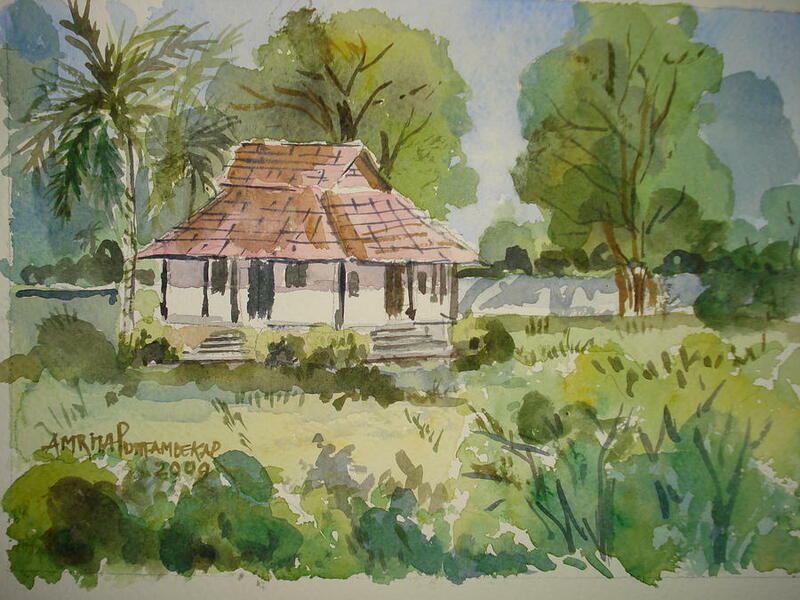 A House In Palghat is a painting by Amrita Puntambekar which was uploaded on January 12th, 2010. These are typical houses one finds in Kerala, India. The special design of roofs and a single house being enclosed within a compund with a small wall around! There are no comments for A House In Palghat. Click here to post the first comment.